Cuban-born, Ernesto Lecuona (1895-1963) is the dominant musical force to have come out of the island nation, and without question one of the major contributors to the emergence of Latin music as a power in the world marketplace. Often called ‘the Gershwin of Cuba,’ he was friendly with George Gershwin and with the composer Maurice Ravel, who once called Lecuona’s immortal “Malaguena,” “more melodic and beautiful than my own “Bolero.” Lecuona was friendly with many of the most influential composers and musical personalities of his moment in time, and his style and use of forms have influenced all Latin music, even the salsa of today. Ernesto Lecuona was born in Guanabacoa, Cuba, across the bay from Havana, on August 6, 1895, but for an unexplained reason he actually observed his birthday as August 7, 1896. His musical talent was already discernible at age three. Following initial piano studies with his sister, Ernestina, he continued at the Conservatorio Peyrellade with Antonio Saaverda and the famed Joaquin Nin. At 17 he graduated from the National Conservatory of Havana with a gold medal in performance. He had become a prodigious pianist indeed and his talents were soon on view for the first time outside Cuba when he appeared at Aeolian Hall, New York City in 1916. While his ties to his native Cuba were always strong, this initial performance in New York paved the way for an increasing presence in the United States, both as concert pianist and as composer, which eventually led to his permanent move to Florida in 1960, following the rise to power of the Communist leader, Fidel Castro in 1959. 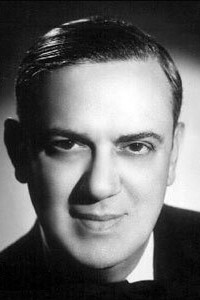 Lecuona produced a veritable torrent of music during his 70 years, including a number of major pop songs, such as the well-remembered, “Malaguena” the bright and rhythmic, “Siboney,” with which one can almost hear the clicking accompaniment of castanets “Always in My Heart” and “Andalucia,” better remembered for its Americanized version, “The Breeze and I,” which became in the late ’30s a popular recording hit by the Jimmy Dorsey Orchestra. While we honor the late Ernesto Lecuona for his wonderful collection of memorable and tuneful songs, his talents in music-making were literally all over the map. In addition to more than 400 songs, he also created 176 piano pieces, 53 theater works (zarzuelas, operettas, theatrical revues and an opera), 31 orchestral scores, 6 pieces for piano and orchestra, 3 violin works, a trio, 5 ballets, 11 film scores and many incidental arrangements. Lecuona’s work stretched considerably beyond the printed score sheet. He was the co-founder of the Havana Symphony Orchestra, the Lecuona Cuban Boys Band and La Orquesta de la Habana. During the ’30s and ’40s, he was hired to create a number of motion picture scores for MGM, Warner Bros. and 20th Century Fox, and his score for the 1942 Warner Bros. film Always in My Heart was nominated for an Academy Award. At one time he also served as honorary cultural attaché to the Cuban embassy in Washington. He also gave successful performances in Carnegie Hall. Lecuona, who had moved permanently to Tampa, Florida in 1960, died three years later of a heart attack while on a trip to Santa Cruz de Tenerife in the Canary Islands. He is buried in the Gate of Heaven Cemetery in Hawthorne, NY. *In September, 2015, Marks released an unprecedented selection of the maestro’s songs, Songs of Ernesto Lecuona, selected by Pablo Zinger. *In early 2016, Marks will publish the Complete Thomas Y. Tirino Edition of Lecuona’s piano music, as heard on his watershed 5-CD set (BIS/Naxos). This book includes correction to the first two Tirino editions plus 19 new pieces.